La Albirroja stood proudly atop the South American qualifying group, before falling off a bit and losing their final four games (two of those to Chile & Brazil, who qualified above them). Along the road to qualification they put in some impressive performances however, including beating both Brazil and Argentina in Asunción. They’re coached by the Argentine Gerardo Martino, in charge of the national team for the last four years after claiming the Paraguayan domestic league tittle on four occasions with clubs Cerro Porteño and Libertad. 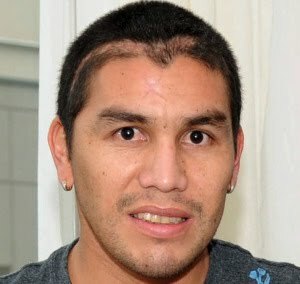 One of most bizarre narratives surrounding the Paraguay squad is the absence of Club América stiker Salvador Cabañas, leading scorer in the qualifying campaign, after he was shot in the head at a Mexico City bar back in January. Luckily Cabañas survived this attack, but its unclear if and when he’ll return to playing. Paraguay’s biggest name, Manchester City benchwarmer Roque Santa Cruz, will be expected to rush into the goal-scoring void. It was initially thought Santa Cruz would continue the pine-riding role he’s filled this season, however Paraguay’s other tall, powerful target man, Benfica’s Oscar Cardozo, may not shake off an ankle injury in time to play. However, a last minute boon to the Paraguayan attack is that Argentina-born Lucas “La Pantera” Barrios has been granted a Paraguayan passport (his mother is from Paraguay) and has been named to the squad. After scoring 49 goals in 53 appearances with Chilean side Colo-Colo, he earned himself a move to Borussia Dortmund, where he finished the season with 19 goals—he’s a tidy finisher, tall, strong in the air, and tends to simply pop up in the right places. The All Whites reached the World Cup after triumphing in a eyeball-gougingly dull playoff against Middle Eastern footballing titans Bahrain. FIFA has really got to do something to retool the weight given to the Oceania group, which used to feature Australia before they appealed to be classified within Asia. NZ topped a qualifying group consisting of Vanuatu (pop. 243,000), New Caledonia (pop. 249,000), and Fiji (to whom NZ lost 2-0 at home). This is the second time the Kiwis have qualified for a World Cup, the other being in 1982 when they lost all three group stage games and were sent packing. Without being too grumpily dismissive, I can’t see why it won’t also be 3-and-out for them here in 2010. They’re captained by Blackburn Rovers centerback and Stanford graduate Ryan Nelsen. Leading the line is Plymouth Argyle’s Rory Fallon, who scored the goal that brought them to South Africa. Again, I’m trying to keep the patronizing to a minimum, but it’s highly likely that New Zealand are the least talented team appearing at the cup—prove me wrong, Kiwis! Central to the Slovak team is Napoli attacking midfielder Marek Hamsik, who’ll be the most likely source of creativity. The most familiar name to international audiences may be Liverpool’s Martin Sktrel, the intimidatingly bald centerback. He’s recovering from injury, but is expected to be fit and could provide some crucial experience to the Slovakia side. It’s going to be tough going to escape the group ahead of Italy and Paraguay, but the qualifying rounds already proved that Slovenská footballing prowess shouldn’t be scoffed at. The Azzuri dove, bitched, and smirked their way to success in 2006 without really ever impressing on the field. Particularly galling, as noted by our Aussie guestBlogger Nick, was Fabio Grosso‘s dive against Australia which sent them through. See the Zapruder-like analysis below and decide for yourself! But, alas, I reckon we’re talking 2010 here! It’s a much noted cliché that the Italians are most likely to succeed when little is expected of them, and indeed this is an Italy squad which has not been deemed of notable vintage—so pray that they ACTUALLY FAIL! They have looked seriously uninspired in the friendlies leading up to the tournament, drawing against Cameroon and Switzerland and losing 2-1 to Mexico. After Roberto Donadoni’s stewardship was deemed a failure, 2006 WC-winning brow-furrower Marcelo Lippi is back at the helm. He has faced vocal criticism for selecting an aging squad which features 9 members of title-winning team. Specific eyebrow-raisers are right back Gianluca Zambrotta (33) who faltered in his post-WC move to Barcelona and had an unimpressive season at AC Milan this year, as well as the now-calamitous 36 year-old centerback Fabio Cannavaro reprising his role as captain. Cannavaro was an absolute joke during HIS post-WC move to Real Madrid, he’s been crap at Juventus since then, and his decline is such that he’s recently decided on a move to play in the United Arab Emirates. Luckily there are some fresher faces who are nosing their way into the side (although American-born traitor striker Guiseppe Rossi was trimmed from the provisional squad during the final paring down). Due to the injury of Andrea Pirlo, Fiorentina’s excellent midfield general Ricardo Montolivo looks set to start. Hopefully 25 year-old Giampolo Pazzini, coming off a breakout season scoring 19 goals and leading Sampdoria to a 4th-placed finish, will get some minutes up front (if only because Vincento Iaquinta is such a fuckhead!). Lippi, however, has tended to prefer Iaquinta & Alberto Gilardino, spearheading a 4-4-2 formation. Though the prospects of qualifying out of the group look nearly nailed down, they face a tricky opener against Paraguay. If they fail to top Group F, they would likely face the Netherlands in the round of 16…can’t say I wouldn’t delight at seeing the Oranje send home the Azzuri early in the tournament.